It's hard to believe how drastically our bedroom decors have changed in the past few decades. If you look at old movies from the 1960s and 70s, you'll find that many bedrooms were decorated with pastel colour schemes and lots of cloying floral designs. Modern bedrooms, of course, still need to be calming places of retreat, but we've now allowed ourselves a lot more freedom to explore eclectic and individual designs. 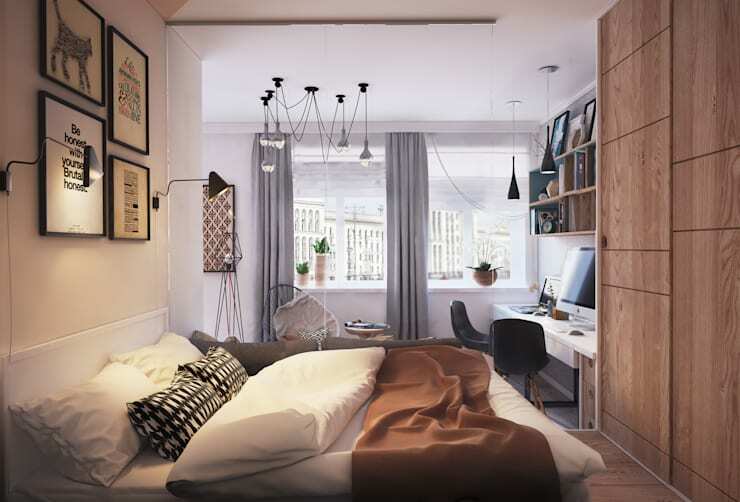 So if you are looking to create a chic and modern bedroom, there's lots of inspiration at hand! 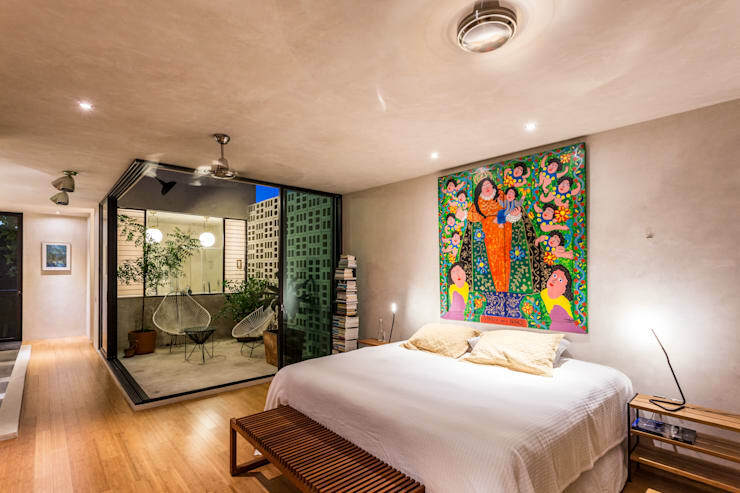 Let's get on with exploring 7 steps to a chic and modern bedroom. Lighting technology has come a long way in recent years. Good bedroom lighting is also one of the most chic ways to modernise your bedroom. Install strip lights within the headboard, recessed beneath architectural features or within the shelves to create an effect light this. The light source will be obscured and your bedroom will have a gentle, sophisticated and calming glow. Get some dimmers too. Our home interiors are a reflection of the way we approach the world. 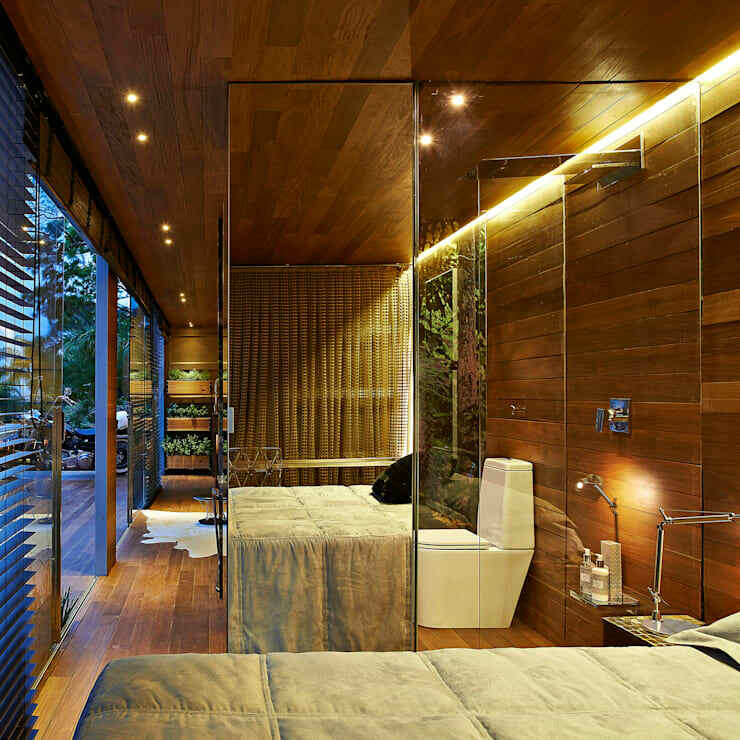 So a modern bedroom design usually incorporates some kind of new-found appreciation for the natural world. Natural materials are commonly used in the walls and floors. Houseplants are a good easy alternative. A chic and modern bedroom rarely has perfectly matching side tables, furnishings and bed-linen. Instead, it's a collection of eclectic influences that reflects a more worldly approach. Textures, artworks, light fittings and furniture could come from all over the world. The chic look is one that encompasses a multi-ethnic view of the world. A modern interior suggests a forward thinking mind-set and a fresh approach. Fresh contrasts are important, but they need to be carefully balanced against the calming essential feel of any bedroom. 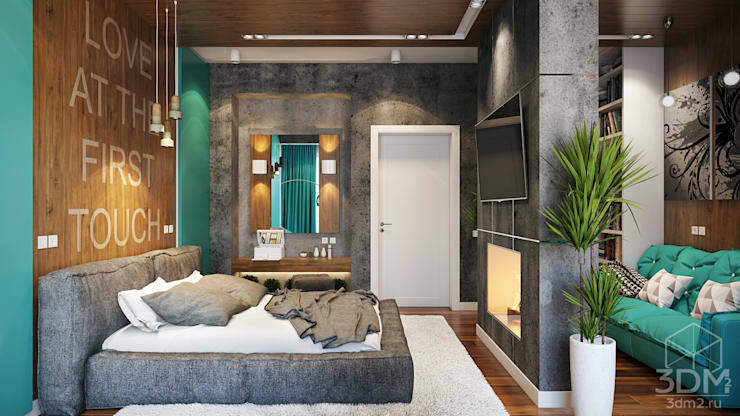 This modern bedroom has forest green splashes of colour but they are kept to a minimum. Illustrations, paintings and artworks often encapsulate the chic and contemporary spirit. Thanks to online social networks we now have incredible access to a worldwide network of artists. Best of all, you might discover some local artists work and keep down costs. The single most defining hallmark of a modern interior is minimalism. Weather you love minimalism or not, it will help to consider the benefits of clean and unbroken lines of sight. Have a look at the standard old bedroom headboard. Bedroom furniture was commonly made up of a separate headboard, free-standing bed and two nightstands. These days, the entire bedroom suite is often presented as one, slick and single unit with strong horizontal lines. For a final luxurious touch, consider breaking down the walls of the en-suite bathroom and installing a modern en-suite shower room like this. 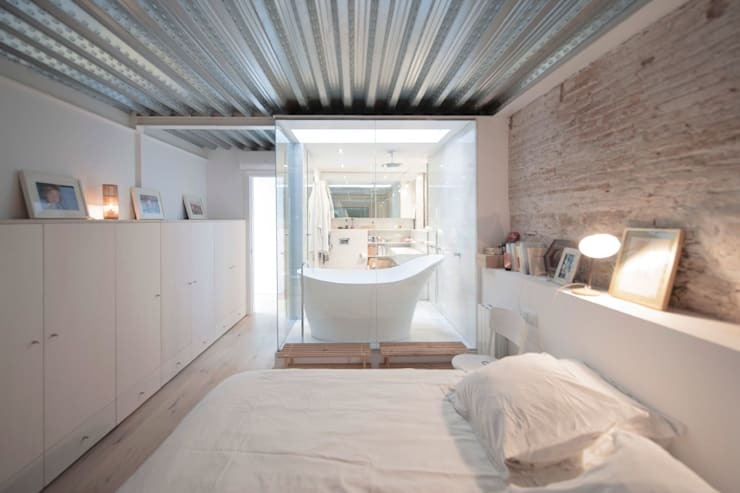 The transparent walls will make the bedroom (and bathroom) appear incredibly chic and spacious. For more home ideas, have a look at 9 easy ways to make your home a relaxing oasis. Do you have any more tips for the perfect bedroom?